The above list features only the basics. We will be led to the more complex issues on your site by the basics. Working with Software Development ensures that your business will not be treated with a boilerplate analysis of the possible SEO issues on your site. We examine your site’s issues at a very specific level and explain what we believe the best course of action for your specific website to compensate for or fix them. 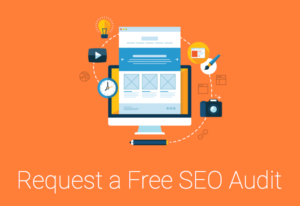 The additional beauty about all Software Development site audits is that they are individually done with our personnel driving the audit themselves, with their own eyes and their own talents to seek out and suggest workarounds for any SEO issues that your website might have. The SEO audits that we conduct are also done by our executive staff, so you know you are in good hands. We at Software Development specialize at making recommendations for dynamically driven data feed sites so we can help improve upon their unique personal mark. From there, we strive to add value to the search engines and to the users’ experiences themselves. comScore reports an 11 percent increase in 2010’s fourth quarter for online retail sales. The full-year 2010 sales were up nearly 10 percent over 2009 results, a sure indication that merchants need to stay apace of the current trends in SEO strategies. 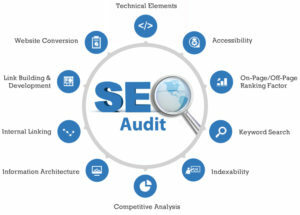 Following the completion of your SEO site audit, you will be provided with a full report. The report will include the full details on any issues and discoveries that were made during the audit. If possible, we will also explain why particular problems exist on your site and how we intend on solving them. After you’ve received the report about your potential site problems and had a chance to review it, we will schedule a one-hour call with your team members from Software Development to explain our findings and review any of the information from the SEO Analysis report.